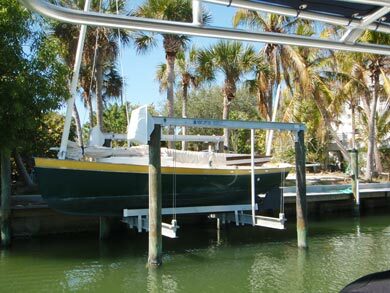 Bernard Kerrison has sent me a few excellent photographs of his Romilly which lives on a hoist in Boca Grande on the west coast of Florida. 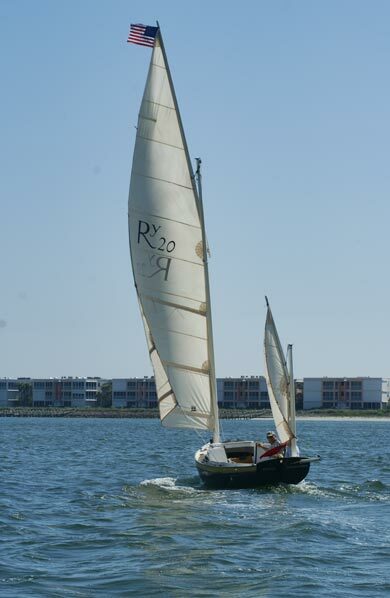 The image with the sail reefed right down on a boat doing 7.3knots according to the gps. 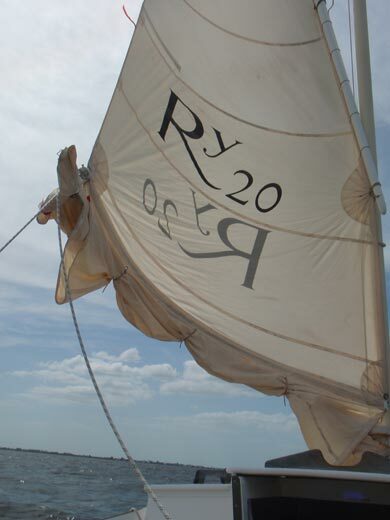 A more sedate day with a beautiful curve in the sail.